As part of the World War One commemorations, the Glenfield Community Centre is holding a service to dedicate and bless a memorial tablet to the fallen that was returned to the Centre by St Barnabas Church at the centennial celebration of our refurbished Mission Hall. 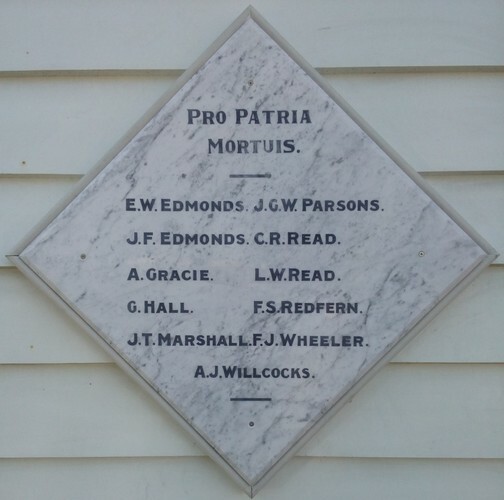 The marble tablet contains the names of 11 men who were significant to the Glenfield area and was originally unveiled at the Mission Hall in 1919. This will be a public event where the tablet will be officially unveiled, followed by speeches and a morning tea in the Mission Hall. (There will be no parking available on-site - please refer to our website for parking and transport options).